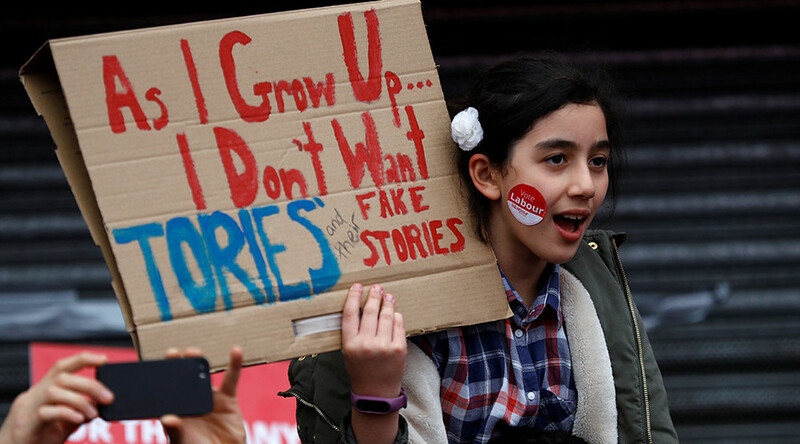 The youth vote was critical to Jeremy Corbyn’s success in the June 8 general election, with a reported 62 percent of 16-34 year olds backing Labour, a new poll suggests. The Sky Data poll shows as many as 62 percent of the youngest age bracket voted Labour, in an election which saw an estimated 70 percent turnout. The Corbyn campaign made a particular effort to target young people in the belief that older voters tend to lean to the political right. A parallel Sky Data poll of the over 55 age group found almost the exact reverse, with a bold Tory preference. Targeting the youth vote saw 250,000 young people sign up to vote on the final day of registration alone. Around one million registered between the election being called on April 18 and the cut-off date on May 22. Even opponents of Corbyn have acknowledged the power of the young has been brought to bear with devastating effect. Corbyn’s manifesto pledges, which pledges a £10 minimum wage and the scrapping of university tuition fees, seems to have been a major factor. “Politics has changed. Politics is not going back into the box where it was before,” he said.